Blount Discount Pharmacy is proud to offer Ananda Professional CBD products. Our CBD products are available over the counter and do not require a prescription. Contact us today for more information on the CBD products we carry. We are happy to discuss and provide you with all the information you need on CBD products. 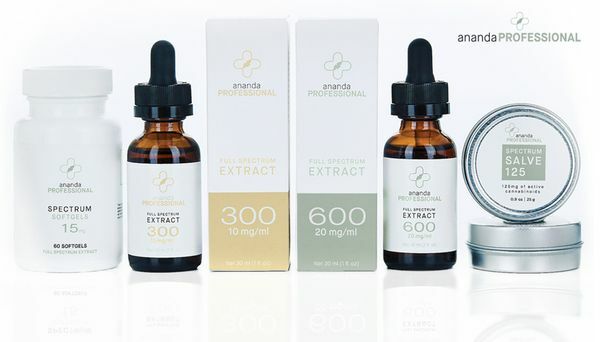 We carry Ananda Professional CBD products, a professional line, that can only be found in a pharmacy and is proven to have the highest amount of pure cannabinoids per bottle. Ananda Professional is an exclusive line that follows Good Manufacturing Practices (GMP) to ensure the best quality product as well as meet strict safety standards. For nearly 20 years, the farmers, geneticists and scientists at Ananda Professional have isolated the best hemp strains in the world. 1) What can CBD oil be used for? 2) How do I take CBD? The most common way to take CBD is by a tincture (oil droppers) which are placed under the tongue. Other forms include capsules to be taken by mouth and salve which is applied topically. Yes, CBD is legal when it is properly derived from industrial hemp, which is the case for the products we carry. To be legal, the THC level (the cannabinoid which produces the “high” feeling) must be less than 0.3%. 4) Can I get “high” off of these products? It is impossible to feel “high” when taken properly. However, some people notice they feel less anxious when they use CBD. 5)Are there any studies to back up CBD? There are two groundbreaking studies on cannabinoids and pain reduction. The Boehnke Study shows that adding cannabinoids, such as CBD, reduced opioid use by at least 60%. In the Reiman Study, 80% of patients felt that cannabinoids relieved their pain better than opioids. For additional studies, feel free to ask one of our staff members today. Stop by the pharmacy today to discuss if CBD is a good fit for you. We are happy to answer all of your questions regarding CBD products.